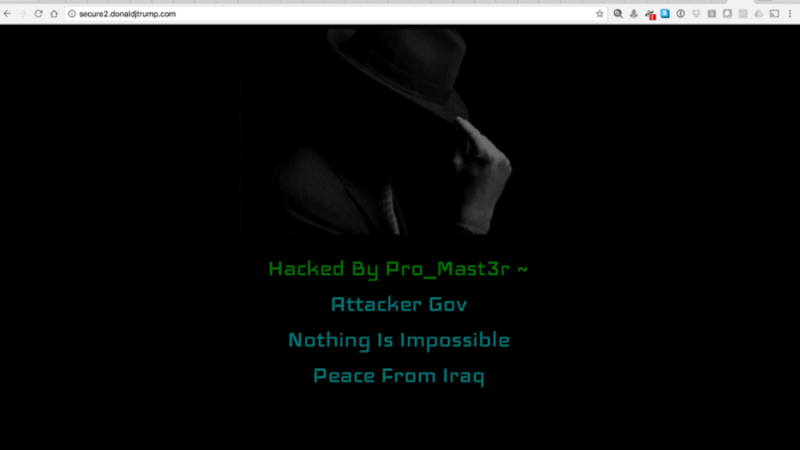 A hacker called ‘Pro_Mast3r’ claiming to be from Iraq has taken the responsibility for defacing the US President Donald Trump’s website that took place on Sunday. While the website is not directly linked to Trump’s presidential campaign fundraising home page, the server: secure2.donaldjtrump.com is behind Cloudflare’s content management and security platform, according to ArsTechnica. The identity of the hacker still remains unclear.